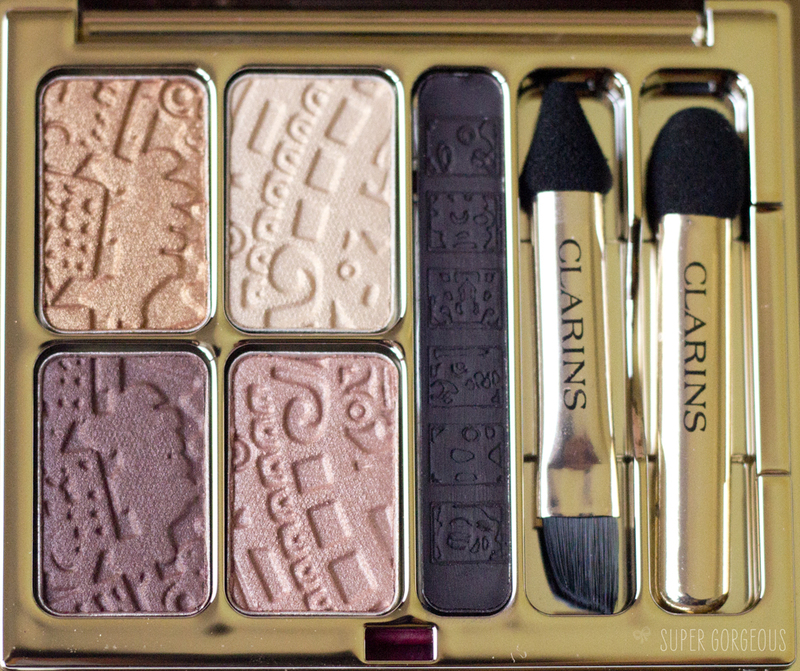 Clarins Splendours Palette is part of their limited edition collection for this summer - a collection inspired by South America in terms of colours and print. 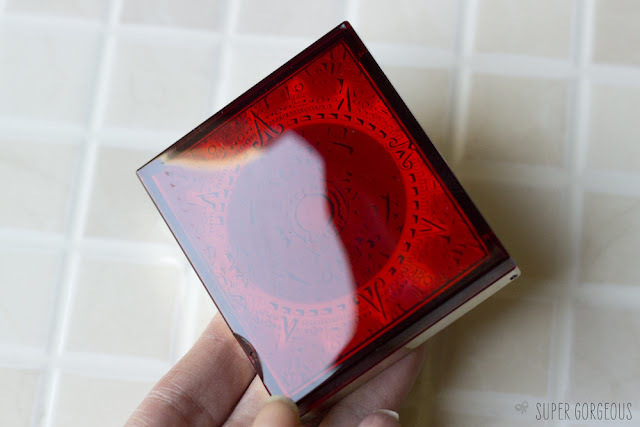 The Splendours Palette looks fairly plain in standard maroon and gold colours - but once it catches the light, an amazing design appears within the lid, it is just gorgeous! Inside are four neutral, complimentary eyeshadow colours all embossed with the Splendours print - gold, champagne, maroon/bronze and pinky gold. There is also a waxy, deep plum eyeliner which I adore! 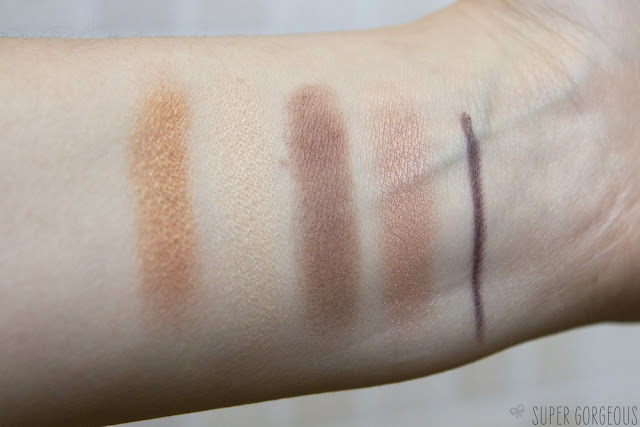 It goes so nicely with all of the colours and is perfect to wear smudgy or as strong liner. 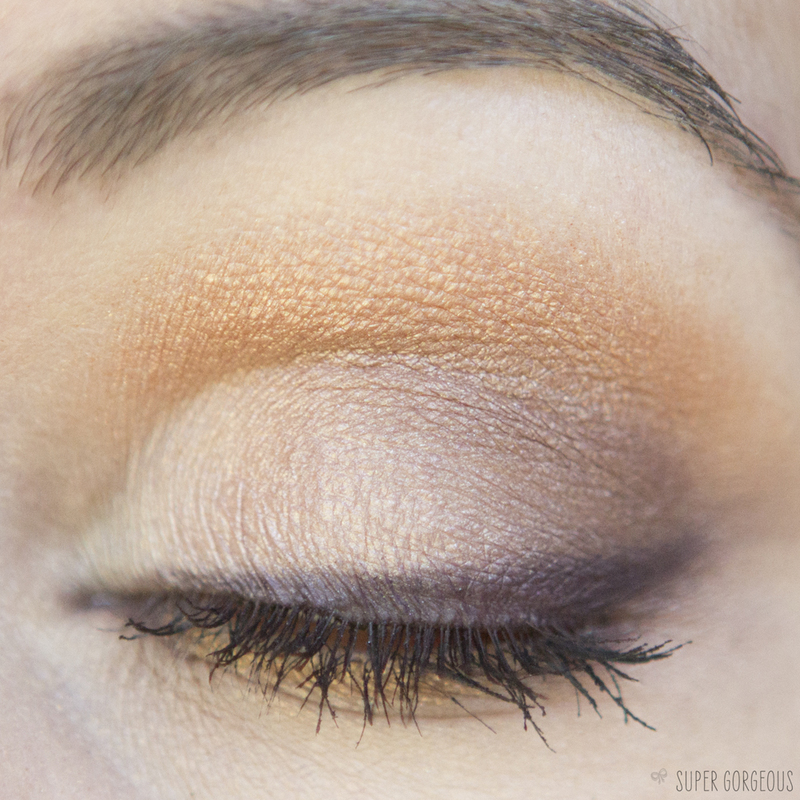 The eyeshadows are really highly pigmented and creamy - they glide onto the eye with ease and leave so much colour on the lid with just one swipe. The colours last all day too - my eyes tend to look the same by evening as they did in the morning! Here are a couple of looks I did using the palette. I am loving using it - it is delicate, fresh, feminine and somehow, feels 'sunny' to me! The shimmer in the shadows isn't too overpowering - it leaves a nice satin finish to the eyes, and that liner is absolutely amazing! These colours look beautiful on you Alice - I love their softness. It's a lovely palette! Can't wait for mine to arrive to play around with it a bit!